A while back, I was walking through Wal-Mart and saw 50 packs of those Halloween spider rings for $1! $1! And I was struck with an idea, for this price, they’d be a great manipulative when we introduce arrays and multiplication! Our kiddos were introduced to arrays last year and they aren’t brand new to them, but I knew they’d help solidify things as we’re expecting students to master many areas of multiplication this year. To introduce it, each student gets 1 ring. We talk about how many are there. Then students get two rings. I show them that the can go two columns in one row, and the inverse. We then use that picture to draw the array and write the multiplication facts. We continue to add an additional spider through a total of 18. We continue to draw the arrays and talk about the combinations we can make. Through this work we explore the identity and commutative properties. We also talk about even numbers always having an additional equation since they’re even and always divisible by 2. 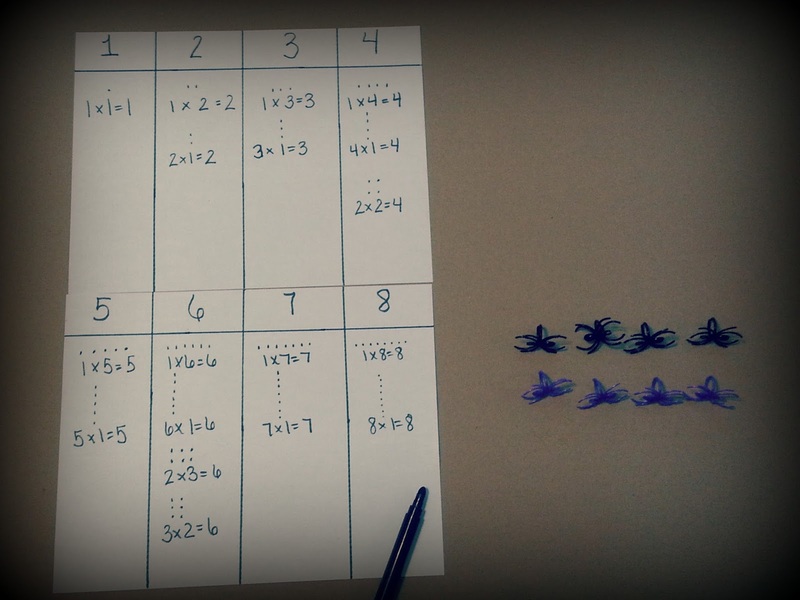 This activity is the basis for our multiplication exploration and lays the framework for the rest of our learning. After I had this stroke of an idea, I decided to make a themed set. 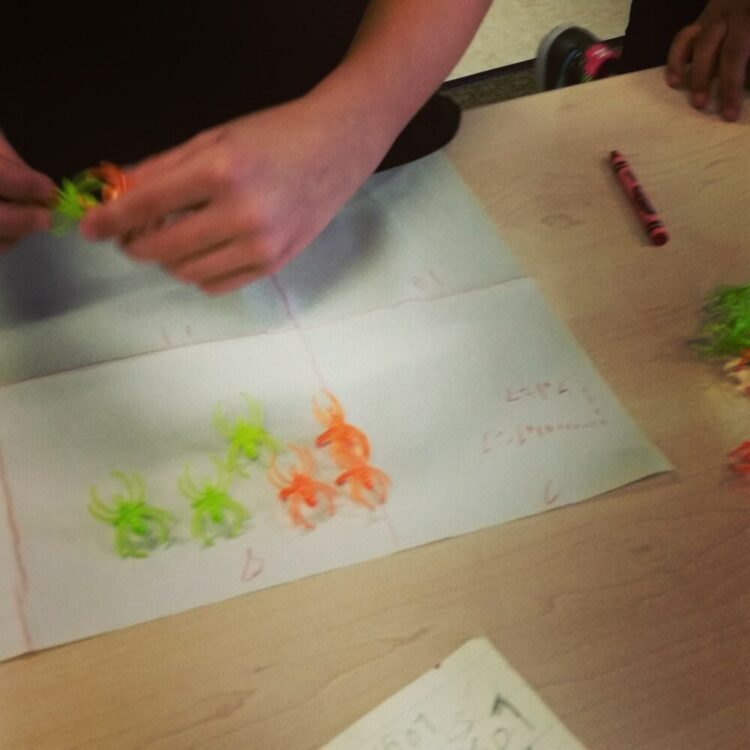 Throughout this week we’ll continue to talk about the properties we’ve explored with our spider rings, as well as other multiplication strategies. We make flip books again exploring multiplication strategies. There’s a very simple template included in the unit that you could use. You could show students how folding the paper strips will bring it into a more 3D design. In my room though, we talked about how to make a circle, and then students folded paper strips to make their spiders. I love this cute spider with the bow. You can check out more about this unit by clicking on the image below and heading to my TpT store. Ooh! I like all of your ideas using the spider rings! What a fun way to practice multiplication concepts. Spider Math is in the cart!! Tessa, Could you please add me to your Collaborative Pinterest board: Centers and Small Groups? Thank you!